WEST BOYLSTON, MA U.S.A. (November 15, 2018) – Emuge Corp., a leading manufacturer of high performance taps, drills, end mills and other rotary tools, has recently broken ground to build a 22,000 sq. ft. expansion project that will double the size of its U.S. headquarters and manufacturing facility in West Boylston, Massachusetts. Marking a 35 year presence in the U.S. along with increased growth in North America, the Emuge expansion will include more manufacturing space and the addition of a PVD coating center. In addition, Emuge plans to expand its current Technology and Training Center, also located at the West Boylston facility. with completion slated for the second quarter of 2019. Emuge currently has tool reconditioning capabilities in West Boylston for taps, end mills and drills, combined with the ability to manufacture tools such as spot drills, chamfer mills and make other round tool modifications. Emuge Corp. is a wholly owned subsidiary of the 1,800+ employee German company EMUGE-Werk Richard Glimpel GmbH & Co. KG (Lauf, Germany) that has been the product technology and performance leader in their field for nearly 100 years. The company manufactures an extensive line of taps, thread mills, drills, end mills, toolholders, clamping devices and other rotary cutting tools ‒ over 40,000 items sold through distributors worldwide. Emuge also offers end-user technical support through a network of in-the-field engineers and in-house product specialists, all with extensive tooling and application experience. Over 10,000 types of cutting tools and accessories are stocked in the company’s U.S. and Canadian Headquarters located in West Boylston, MA, USA. 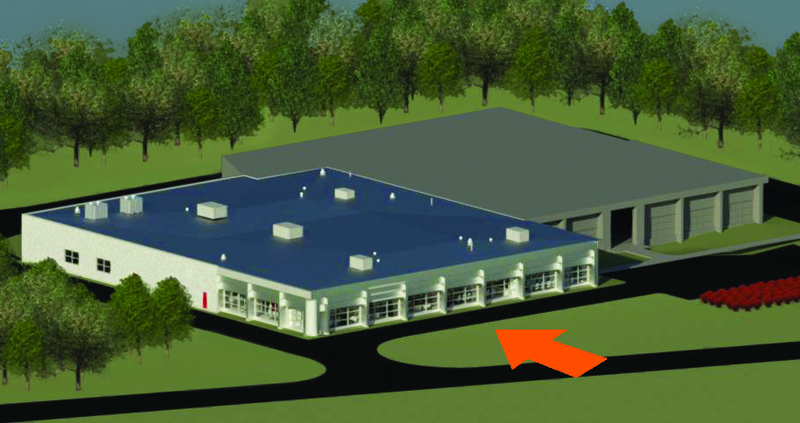 The current 21,000 square foot state-of-the-art facility includes a technology center with a machining and tooling demonstration showroom and classroom, tool reconditioning manufacturing, warehouse, sales, support and administrative offices. For more information on Emuge Corp., contact Emuge at 1800 Century Drive, West Boylston, MA 01583-2121, Tel. 800-323-3013, internet: (http://www.emuge.com).